Two religious orders in the Catholic Church have apologised for the abuse suffered by children in their residential homes. 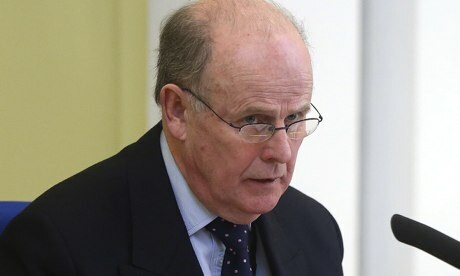 The comments were made on the second day of the inquiry into historical abuse in 13 Northern Ireland care homes and borstals between 1922 and 1995. Lawyers for De La Salle Brothers and Sisters of Nazareth made the apologies. The Health and Social Care Board also said that if the state had failed in any way it was sorry. A barrister representing De La Salle Brothers offered their "sincere and unreserved apology" for the abuse at its home in Kircubbin, County Down. The QC said the Brothers "deeply regret that boys in their care were abused". He said their mission was to look after the welfare of vulnerable and deprived children, and the abuse by some Brothers "was in contradiction to their vocation. "They recognise that there have been failures to protect the victims," he said. "This inquiry represents perhaps the last opportunity to establish what exactly occurred during the operation of the homes." The inquiry also heard admissions made on behalf of the Sisters of Nazareth order of nuns. A barrister representing them said they "recognise the hurt that's been caused to some children in their care". "They apologise unreservedly for any abuse suffered by children in their care. They go forward hoping that lessons will be learned, not just by them in the provision of care, but also by carers generally in society and in wider society at large." A barrister for the Health and Social Care Board said that where it had failed to meet acceptable standards, it offered its apologies to those involved. Earlier, it was told that some children's homes in Northern Ireland in the 1960s were relics of a bygone era. Post-war welfare reforms were not adopted by some institutions, the senior counsel to the panel said. "The evidence suggests that those homes operated as outdated survivors of a bygone age," said Christine Smith QC. Outlining the context of institutional care in Northern Ireland, she said the status of children historically could be illustrated by the fact that while the RSPCA was set up in 1824, the NSPCC was not set up for another 60 years. The barrister told the inquiry of one submission received by a woman who had been in care between 1971 and 1976. She detailed how after wetting her bed, she had her nose rubbed in it, before being stripped, left in a cold room and then forced to wash in cold water and disinfectant. The biggest ever public inquiry into child abuse ever held in the UK is investigating claims of physical, sexual, and emotional abuse, as well as childhood neglect. 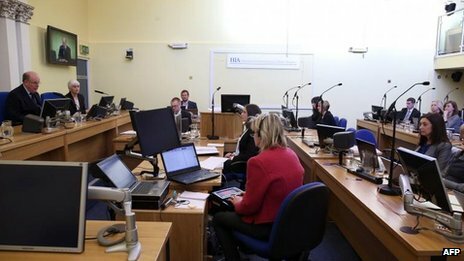 The public hearings stage of the inquiry, which began on Monday, is being held in Banbridge, County Down, and is expected to last for 18 months. The inquiry's remit is limited to children's residential institutions in Northern Ireland. During that time, it is due to hear evidence from more than 300 witnesses, including former residents who claim they were abused as children, the people who ran the institutions, health and social care officials and government representatives. To date, 434 people have contacted the inquiry to allege they were abused.